As an integrated agency, we know that continuity is key. However, print design is in a different ballpark to digital design. That’s why we have a dedicated print design team, who know exactly how to grab your audience’s attention off the screen. Have a wide range of products you want to catalogue? Or, maybe you offer services that need a professional flyer? Either way, with your logo and branding as a basis, our team of experts will create a tailor-made design for your business. We will work with you closely, to make sure we distribute your business’s core values. And, if you’re utilising digital too, we’ll make it work with your print campaign in the most effective way possible. Not only do we provide memorable, stunning designs, but we also supply compelling copy, beautiful photography, and high-quality printing from our trusted network of affiliate partners. It takes three seconds for a consumer to decide what they buy. Want to make sure those three seconds count? Our creative designers will put together packaging ideas that are sure to have a lasting impression. Whether you’ve got a brand new range you want to stand out, or you want to refresh your current style, we can help you. Need someone to do the hard work for you? At Mitra, we’re incredibly passionate about what we do and want to make your print marketing count. 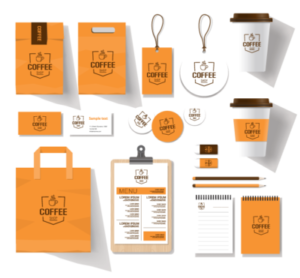 We’ll work with you from the initial concept, all the way to the end print, to give you the highest quality marketing materials. Contact us to find out more and book your free consultation – we’ll be happy to talk through all of your marketing needs.